Right arm off spin bowler. Justin was Hastings overseas player for the 2009 season. 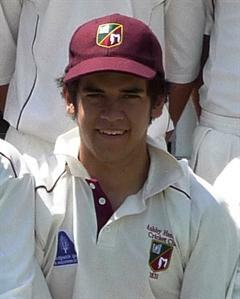 Justin represented New South Wales under-19 side, having top-scored against Tasmania U-19. Come on Justin it's only a pint and a half ! Justin "enjoys" a very slow 1/2 yard of ale.